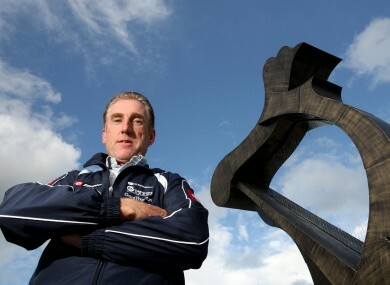 Sean Kelly's autobiography is selling extremely well since its release. SEAN KELLY ADMITS he never finished Paul Kimmage’s Rough Ride book but says he is happy the cyclist-turned-journalist finally exposed Lance Armstrong as a performance-enhancing drug cheat. Kelly was pressed on his three-month suspended ban, at Paris-Brussels, for the surfacing of a stimulant product, in 1984. He responded that he had checked it out with his GP in Belgium and was told it was something students took if they wanted to stay up and study for exams. He also disputed the ‘incorrect B sample’ that he claimed, at the time, was due to an insufficient amount of urine to test properly. In 1988, Kelly received a fine when he tested positive for codeine, which he explained came from a GP-prescribed cough bottle remedy. He argued that it was for his general health and not performance-enhancing. The one PED he openly admits to taking was caffeine pills, which were on the banned list during his career. Kelly accepted that some criticism of current UCI president Pat McQuaid was merited but gave the Irishman credit for helping to clean up widespread doping and introducing biological passports for active cyclists. He acknowledges that presidential challenger Brian Cookson is making it “difficult” for McQuaid to stay on in his role. Looking back on his early career, Kelly recalled early advice that stayed with him throughout his successful career — ‘If you are talking to the journalists, if you give them three words they’ll make 25 out of it so be careful with what you say’. The Carrick-On-Suir cyclist admitted there were moments of jealousy upon seeing friend and sporting rival Stephen Roche claiming the 1987 Tour de France. Kelly crashed out of the event that the Dubliner went on to claim to great fanfare. Email “Sean Kelly: Readers are not interested in half an autobiography about doping”. Feedback on “Sean Kelly: Readers are not interested in half an autobiography about doping”.